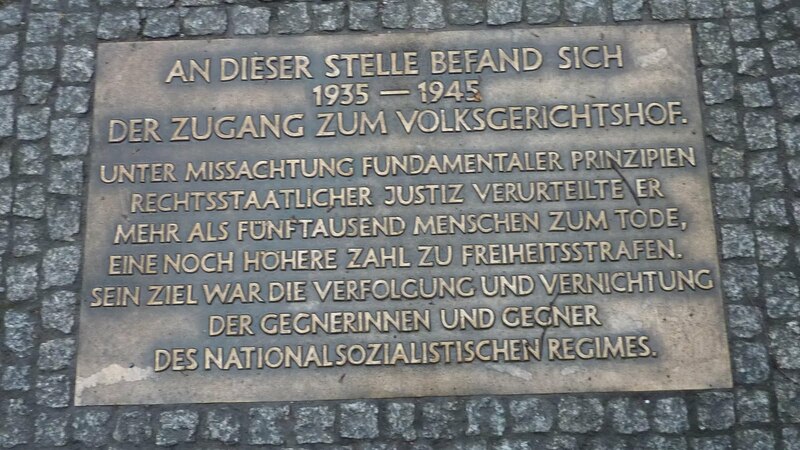 Berlin, Germany--I´m right now investigating Adolph Hitler´s judge that sentenced over 5,000 good Germans to death for government resistance. His name is Dr. Roland Friesler. 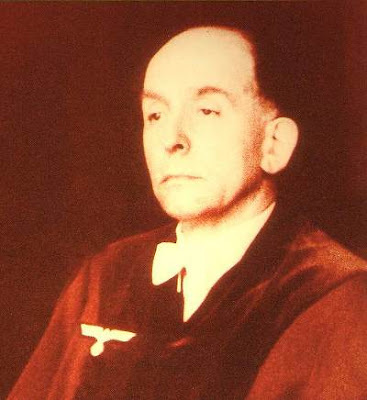 In addition he was the judge that made the Holocaust legal by decree. 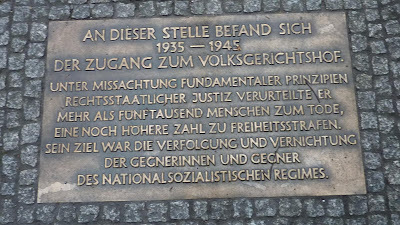 Above is a plack that is where this Nazi´s courthouse once stood in Berlin. It is where the Sony Center stands in Pottsdamher Platz. I will have a lot to say about him later. You can take it to the bank that Friesler´s judicial tyranny exists today in neary every American courthouse. Friesler clones must be purged wherever they are found. States rights trump individual rights. Do his relatives work in Cook County? ?